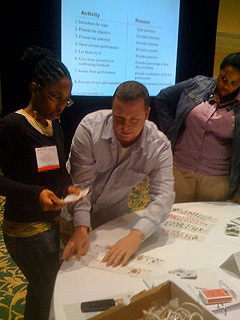 The Course Developer Workshop (2 days) « Darryl L. Sink and Associates, Inc. Learn to evaluate performance based on learning objectives to improve your program. Test the effectiveness of your training on four different levels of evaluation: satisfaction, learning, behavior, and results. In addition, each participant will receive a personal copy of the 225–page Course Developer Workshop binder, which documents each topic covered and also includes job aids, a glossary, and bibliography.